Brooke learned how to play poker while we were in Las Vegas for a few hours yesterday. I think she is card counting. 3 months since my last Cafe Rio fix and it was better than ever. Brooke had to have her hand on the salad too. We stopped at the store for some snacks and things to have at our hotel and then drove to where we were staying. We thought it was a normal hotel but nooooo it is a house. It is actually my dream house, it is insane. I will do a tour of it later because it is that awesome. This is on the deck of our hotel (mansion and should be on MTV Cribs) that we are staying. After a quick wardrobe change we went to the clubhouse where most of the retreat activities are happening. I can honestly say that I will do everything in my power to go to every She Runs Retreat possible. Everything has been so organized, everyone is so friendly and the activities have been incredible. I finally was able to meet ELIZABETH! We have been blog bf’s for a while so it was so nice to finally meet her in real life. She is incredible and SO SO SPEEDY! Elizabeth and I were in charge of putting the course together for the night run. We placed glow sticks along the course and the group run started once it was dark. Everyone had little flashlights and flashing rings, it was awesome to see a huge herd of bright flashing lights running at night. It was a blast to meet and talk to so many women from all over the place. After the run things got a little crazy with a zumba party. I will be sore from that class. I cannot even begin to explain how excited I got when Gangnam Style started playing… I am actually really good at that dance. Ever been to Vegas? How many times? First…Brooke’s hair…LOVE! She is so cute! I have tried Zumba and it is so fun, like a dance party with good exercise thrown in. I used to live in AZ so I can’t count the number of times I have been to Vegas, always great people watching. Tomorrow is a 9 mile long run and probably take the toddler to the library. Enjoy your weekend! Sounds like its off to a great start already. Your night run looks like a lot of fun! And the expression on Brooke’s face where she’s examining the card is priceless. I hope your mom is having a great time hanging out with her adorable granddaughter and that you’re having a great time at your conference! It looks like your “hotel” is pretty awesome–gorgeous view! awww, I LOVEEE reading Elizabeth!! nice to see you two together! So jealous of your vegas time. It’s on my bucket list. One day, one day! I took a Zumba class before with a friend and we had so much fun! I don’t think I’d like to take one by myself. This retreat looks like so much fun!! Love Zumba… if I have the right instructor, otherwise I don’t feel like I’m getting an awesome workout. I think the glow stick run sounds like SO much fun! Can’t wait to see your dream house tour! Ahhhh seeing red rock warms my heart :) !!! So does the fact that you get to see your momma! I get to see my mom this weekend too and I just can’t wait! I am crazy jealous of everyone who gets to attend, I can’t wait to read about the experience! I love Brook’s little hand up on your salad. One of my best friends went to BYU and she always RAVES about Cafe Rio. I love me some Mexican so I need to try it! Never been to Vegas… Never done Zumba… Sounds like I’m totally missing out! Enjoy your weekend! I’ve been to Vegas 8 times and was married at the Mandalay Bay in 2009. My husband and I play poker (he is really good and I try my best) and I always fit in a spa treatment or two :-). I like staying at the Monte Carlo because the gym is free! Enjoy the retreat! There should definitely be a video of you doing the gangham style dance. I was only in Las Vegas as a tiny baby, and I tried to get the hub to stop back soon after he presents at a conference in Reno. He politely declined, but liked the idea of a post-conference side trip to Lake Tahoe. That’s what I define as success! I LOVE Vegas! When Mr J and I first got married, I was sent to LA with the Air Force and he stayed in Provo to finish at BYU. We met in Vegas many times. Then we continued to go for vacations! Also– LOVE Zumba. My first class was with a Master Teacher– so I got pretty spoiled. I still cannot find a good class here in England, but will continue to look. Glad that you got some Cafe Rio! Mr J will be jealous– I made the knock-off recipes from Pinterest for him, but he said they weren’t really the same. Enjoy your retreat!! I have never tried Zumba, but my brother lives in Vegas so I go there often to visit him and I just LOVE it!! I also love that pic of Brooke grabbing onto that salad! So cute! First of all, Brooke’s face. She’s a smart cookie. You HAVE to be planning it every time she poses for these pictures!! They’re so perfect. Also, I want to come party with you and elizabeth running with glow sticks at night and having a zumba party. Zumba is almost my favorite thing ever besides running and it would be even better if it was glow in the dark! I have never tried Zumba but it does look like fun! We have been to Vegas too many times. Just got back from there on Monday actually. Weekend plans are to look at some houses, be race support and go out to breakfast. I’ve never done a retreat.. it looks like so much fun!!! I want to go! Lucky Girl! I’ve never tried Zumba or gone a retreat but both seem fun! Have a great weekend:) my plans involve a mini roadtrip to Orlando to see family! Looks like so much fun! Wish I was there!!!! Keep having an amazing time. Nothing major on the weekend, so I am going to live vicariously through your blog. I enjoy zumba but would REALLY enjoy it in the dark when no one can witness how uncoordinated i am when it comes to dance moves!!! haha looks like fun! :) Elizabeth seems pretty awesome! Glad you guys got to meet and spend some time together!! Ahhh what a cool event! So jealous! And my gym recently started offering free zumba classes so I’ve been going every week! It is SO MUCH FUN! And I don’t even feel like I’m working out! The retreat sounds great! I have never tried Zumba… too uncoordinated and too scared to attempt it! I’ve also never been to Vegas but have no desire to go, either, even though my husband assures me it is the perfect and most romantic place where we should spend our anniversary this year (ha, not happening). This weekend is my birthday weekend so I will be celebrating! :) Have a great weekend! I have been to Vegas, a lot. I love it there! It looks beautiful where you are. I’ve never done Zumba and I don’t have a huge desire to either. People love it but for some reason I am not interested. I probably shiuld at least try it one day. I’ve been to Las Vegas a few times. The most recent time was this past August when my sister got married. This sounds like such a fun girls’ weekend! Glad you and Elizabeth got to meet – love her! :) Enjoy! Looks like an amazing retreat! You’ll have the best weekend. Mine will be spent lounging around, hopefully! Oh man this looks like so much fun! 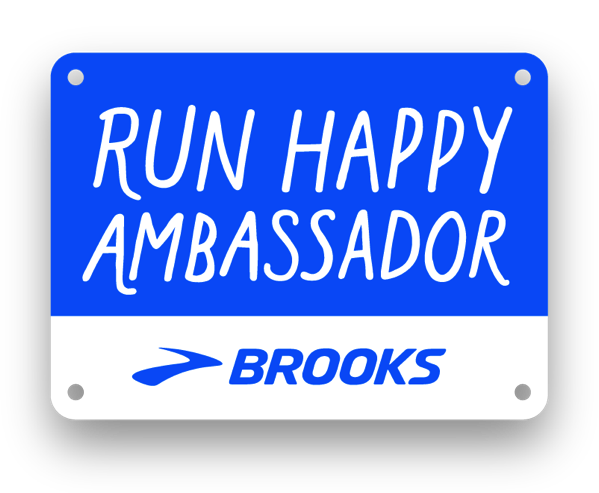 I have no local running buddies and activities like this are complete reasons I need to place more money in my running budget! Have an amazing time with your mom! I bet the glow run was sooo fun!! I LOVE Vegas! We’ve been twice, the last time in Oct. It’s just so fun! I didn’t run but we did go to Zion National Park & hiked. Beautiful!!! Have fun!! Oh how I love those red rocks. I miss them dearly. The only thing that makes reading this post remotely tolerable (because I am super bummed I am not there too) is that I will be down there next weekend. That run sounds super fun. I have done Zumba before. I have loved and hated it – it totally depends on the intructor and the music (for me anyway). My freshman year of college I think I went to Vegas every other weekend. That is what happens when you live in St George. I got burned out though and I think I went 3 times total my next year at Dixie. I am hoping we will get to (finally) pick up our car this weekend – 3weeks is how long we have been using 1 car. And I have a ‘favorite things’ party Saturday night with some friends. Zumba is lots of fun! I love it. I go to a place that only offers Zumba, so much fun. No big plans for the weekend. We got a good amount of snow yesterday, so playing in it with the kids is about all I have on my list for the weekend. Brooke’s pigtails are pretty much the cutest things ever! The retreat sounds awesome! I have been eyeing it since last year. Maybe next year I will get to go! I have never tried Zumba. It scares me because I am completely uncoordinated. I have been to Vegas three times now. It’s been almost six years since the last time. It’s fun with a group and for a long weekend trip. A few days there is more than enough. This weekend we will be digging out of the foot of snow we received yesterday before we get hit with another storm on Monday. Fun, fun. I’ve never tried Zumba but I took a hip hop dance class once. I made sure to stay in the back corner. It was not pretty. I get to go to Vegas in May! It will be my first trip there. My husband has to go for work so I guess I’ll go and take advantage of the free hotel…. I’ve never done Zumba, but I really want to try it. I love dancing so I think I would have lots of fun. I’ve been to Vegas four times now. Such a fun city. Girly time starting today with massages and shopping with mom! I’m way too self conscious to try Zumba- I don’t think I’d be able to get a good workout in because I would be too focused on how ridiculous I thought I looked. My weekend is full of the usual (cardio, cook, clean, couch time, haha) but I’m so in need of it! This day can’t end soon enough! The glow in the dark run looks so much fun! There is something similar to that coming to my city this spring but it’s pretty expensive for a 5K (like $50?) so I don’t think I’ll be doing it. Maybe I can convince my sisters to wear glow necklaces and carry flashlights and run with me one night. No one would find that weird, right? Zumba is one of my favorite workouts simply because it feels more like a night out than exercise. I have a dancing bug though…. I am always doing it!! 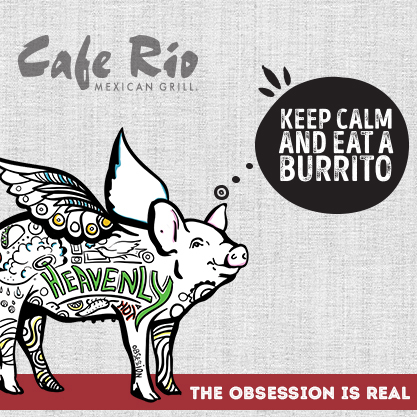 Cafe Rio – I’m drooling. I miss it SO MUCH!!! I love your sweatshirt! That color is so pretty. Janae! This retreat looks AMAZING!! I wish I lived closer and could have gone! I’d be in heaven. 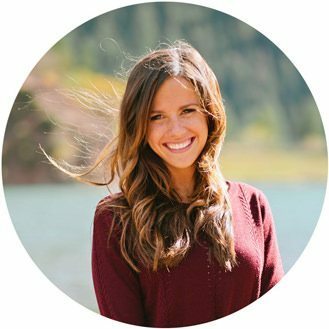 I’m excited to check out Elizabeth’s blog. Your pictures of Brooke seriously make my day … every day. I thought you should know! I lived in Vegas for 4 years while I was going to college…it’s definitely an interesting place to live. Sounds like the retreat is a ton of fun! I’ve been to Vegas three times and all the experiences were so fun! The most recent one was great because we got a huge suite for FREE (from playing a Facebook game! haha). I used to do Zumba all of the time, but I hardly ever do it now :( I should start up again! I’ve never been to Vegas, but I would love to go! I’m running my fort half this weekend and I’m spending the weekend in Disney world, so my weekend is pretty exciting!! Enjoy the rest of your retreat! I’ve been to Vegas when I was younger! I sort of remember it, but it was a really long time ago! I hope you have the best time ever there and Brooke looks adorable as usual!! Zumba isn’t my thing… but only because rhythm is absent from my life. It looks like you may be staying at the Inn at Entrada! And I may DIE with envy. We had a family reunion last year and stayed in the Johnny Miller “Suite” (aka the most perfect house on Earth). I have been plotting and planning ever since to return to St George to stay there again. It was AMAZING!!! If that is in fact where you are staying, I am SO looking forward to the tour. Jealous! P.S. Brooke’s hair is adorable! I love baby pigtails. So cute. Okay, California needs to get a Cafe Rio, STAT. I’m sick of seeing this pictures always and not getting to taste it! Brooke is absolutely adorable. Looks like you’re having a great time in St. George! I plan on attending the San Diego retreat, since we live there! Can’t wait to see updates from your weekend! Glow in the dark run sounds amazing!! That would have looked so cool. I hope someone was snapping pictures! I love Zumba but I totally depends on the instructor! They need to be high energy and make it lots of fun. I really got into it for a while a home by myself with my Zumba sticks, it was a good time! I love cafe rio!! YUMMM. I teach Zumba and we’ve done Gangham Style too–sooo fun! Fun fun retreat! Just may have to plan to go to one with the gals. I’ve been to Vegas so many times I’ve count. Fun escape from cold utah winters (just don’t make me stay too long!). I did Ragnar L.V. a few years go. Did you know there a LOTS of tarantulas all around the Vegas desert? I didn’t’t realize there were so many til the Ragnar. I WISH I WAS THERE!!! have a blast! The glow run looks like SO much fun…especially in Vegas =) I’ve only had a layover in Vegas before heading to Phoenix to visit some family! Would love to actually go one day! A bunch of girls running at night with glow sticks sounds like so much fun! In fact your entire weekend sounds delightful… Enjoy! I’ve done Zumba, but maybe because I was a dancer for so many years, I found it too repetitious and boring. It also wasn’t as much of a work-out as going to the regular gym. PS. I’ve been reading your blog for a long time; I started because I also enjoying working-out and you are/were also a high school teacher (..I am at that point in the year where I need it to be OVER!). Anyway, it has been really exciting to see your life evolve. And your little one is super cute! Omg what a fun day!! !